Mike Wheat is running for re-election for a 8 year term in 2014. Do Montana voters know he is currently 66 years old? Do voters in Montana really think Mike Wheat can serve until he is 74 years old, or is he going to "retire" in two years so Steve Bullock can name his replacement? Mike Wheat got a 42% or the lowest grade from the Montana Chamber of Commerce indicating what was best for Montana Businesses. The seat Michael Wheat is running for pays him $125,000/yr. Michael Wheat does not deserve that kind of public trust. I was the plaintiff and a law student named Angela Wetzsteon (avail. www.AngelaWetzsteon.blogspot.com) practiced unsupervised in 2007 while she obtained Montana Bar in October 9, 2008. Mike Wheat was on the court at this time. 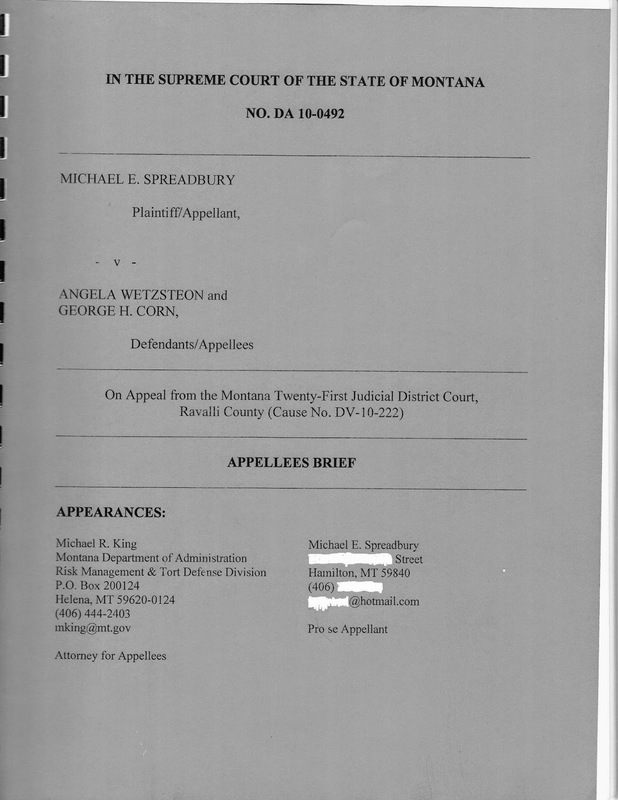 Some Guy named Steve Bullock as Attorney General paid of Angela Wetzsteon's defense (fraud of public money). Mike Wheat had to follow the Montana Student Practice Rule which says students have to be directly supervised in a courtroom. Mike Wheat said Angela Wetzsteon could practice law unsupervised which is a felony, impersonation of a state officer. In the course of this case, Ms Wetzsteon a Ravalli County Prosecutor made affidavit twice that she was supervised, but was not. That makes two felonies: Perjury in a court proceeding, in writing, and notarized. The interesting part about this decision: The Montana Supreme Court made this student practice rule on May 1, 1975. Mike Wheat decided that a law student, as he once was in Montana does not have to abide by Montana Rules, ORDERS made by the supreme court. The order is numbered #12986 which made the student practice rule. Ethics Rule 5.5 in Montana says no lawyer can assist the unauthorized practice of law. Mike Wheat, Jim Rice, Mike McGrath, Beth Baker, Mrs. US Attorney Cotter are unethical Justices on our Supreme Court. MIKE WHEAT THINKS ORDERS, RULES FROM THE MONTANA SUPREME COURT ARE ARBITRARY. PERHAPS MIKE WHEAT SHOULD NOT BE ON THIS COURT. Mike Wheat is in blue shirt far right. Why should a 66 year old Mike Wheat get re-elected? Do public servants generally serve until 72 years old? Note that Jim Rice (stading second from right) is also seeking re-election decided law students should be able to be lawyers, or prosecutors without a bar license, and without a JD degree. 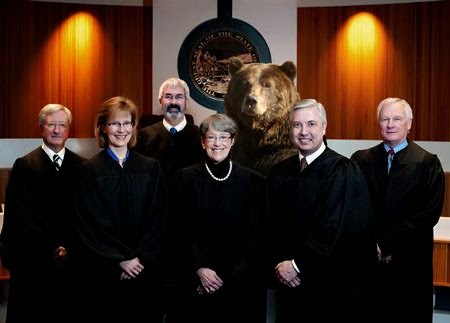 It gives new meaning to the 64% Bar exam passing rate of University of Montana Law students...Jim Rice and corrupt Co. think you dont need that Bar License, or JD to arrest someone, enter tampered evidence ourside discovery, ruin their career, and violate several established rights in Montana. Montana has no law or justice. This blog will be up forever about Mike Wheat because I think corruption should end, and actual laws, rules, and orders matter in Montana. I will never forget Mike Wheat allowing a law student in Montana prosecute unsupervised but all 49 other states do not. You are too old sir, and too corrupt to serve Montana.